I am getting close to reaching one year of posting my tasting notes. I get to taste a lot of wine. I am also responsible for writing different types of wine lists. Not all the wines I taste deserve the time it takes to re-write my notes into this blog format. So, from here on out, I will only post the wines that really stand out. I feel very comfortable adding any of these wines to the proper wine list. I hope you enjoy my notes. Cheers! A village of Burgundy known for Sauvignon Blanc. The village lies along a base of Kimmeridgian limestone stretching from the Dover cliffs. This producer has made wine since 1453 and is imported by Aliane Wines. 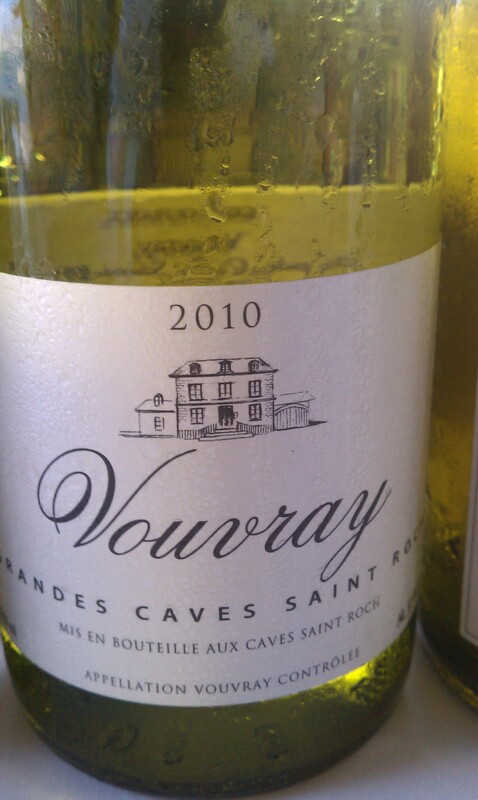 It has aromas of lemon, citrus and pears with mineral notes. 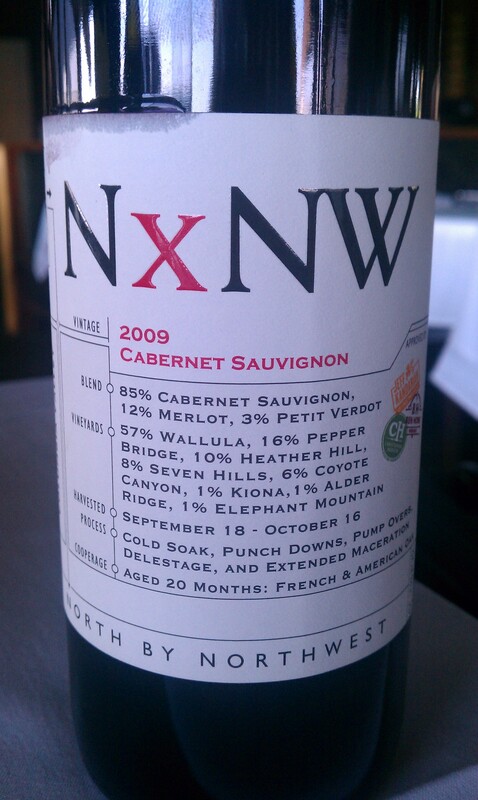 I tasted this one day after being opened so it lacked vibrancy. That being said, it has great acid and the fruit was still intact. All I could think was this wine must rock when you first open it. I can now feel comfortable selling Bandol to a new world wine drinker. The wine is 90% Mourvedre and 10% Grenache. 50% of the vines are old vines, 1/3 of it is whole cluster fermented and 2/3 of it de-stemmed. It has aromas of leather, plums, saddle and herbs of Provence. On the palate it is fruit forward with flavors of black cherry and other berries. It is fresh and full-bodied with a lush texture yet it doesn’t lose that dusty earth we’ve come to know of Bandol. This is Merryvale’s Sauvignon Blanc, farmed organically and sustainable. My first impression was that it was going to be another fleshy overly ripe SB from Napa. I was in for a big surprise. This wine had aromas of grapefruit, lemon custard and grass. It has racy acidity as SB should. It had a sense of mineral followed with green apple, a pleasant surprise! This wine is made up of 85% Cabernet Sauvignon, 12% Merlot & 3% Petit Verdot all aged in 20 months of both French and American oak. The aromas are of darker fruits such as both plums and prunes. The tannins are soft and balanced. I got raspberry, violet and green peppercorn followed with a toasty finish. 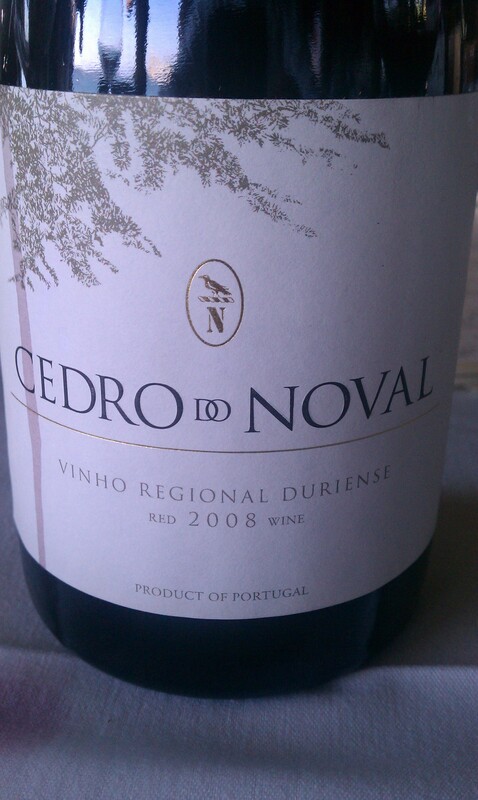 This is made of 35%v Syrah and the rest a mix of Touriga Nacional, Touriga Franca & Tinta Cao. The majority of aromas are of prunes, black cherries, cedar box and tobacco. The tannins are soft & plush. On the palate i got red fruits such as raspberry followed by intriguing flavors of black tea. the finish was long-lasting and the wood usage balanced, showing flavors of saw dust and spices. This is not one of my favorite combinations, Cabernet Sauvignon and Paso Robles. However, this wine taste great for the price. It has a medium body with aromas of red plums, blueberry, red cherry and brown sugar. It’s fruity and floral as one might expect, but it’s not flabby. There is actually some structure there and I can see this being a great house cab. My house. The Jonata Family, famous for Screaming Eagle, makes the paring. 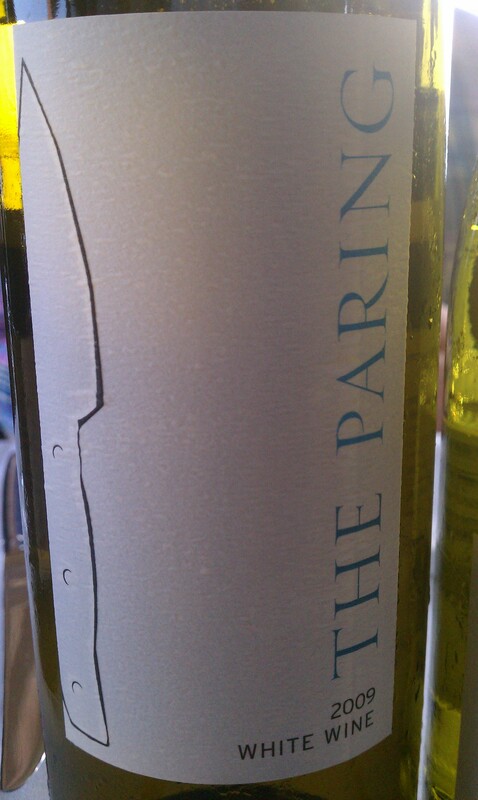 The blend is made of 75% Sauvignon Blanc (mostly from Santa Ynez), Viognier and Semillon. The nose is of a creamy lemon pie with pineapple. It is rich on the palate with bursts of tangerine, high acidity and silky on the tongue. Yum and Yum. I am a sucker for Vouvray. Although it is not a demi-sec there is still more RS on it. The mild aromas are of baked pear, red apples and honey. The back bone is well-formed with flavors of grapefruit and high acidity. What a perfect food wine. What a Chardonnay! It is toasty, Creamy with flavors of pear and apple. All Chardonnay so far. On the palate it is full-bodied, with flavors of oranges, its rich and rounded. All Chardonnay, still. And then…Zing! It’s like a Sauvignon Blanc, vibrant acidity with the aroma and mouth-feel of Chardonnay. Winemaker Abe Schoener was a philosophy professor at St John’s. He turned his back on the academic community and became a winemaker. One of his students, Jon Kongsgaard, turned him on to the world of wine. he brought his philosophical views of purity into his wine making. This SB is from a high elevation which gives the grape a thicker skin. His wines are pure! he uses native yeasts, does not use SO2 and does not top off his barrels. The wine is cloudy with a gold color. It smells of Lychee, green grass, camphor, and chrysanthemum. A very strange experience in Sauvignon Blanc, but unforgettable. It is rich, toasty with a strange combination of caramel and pineapple. 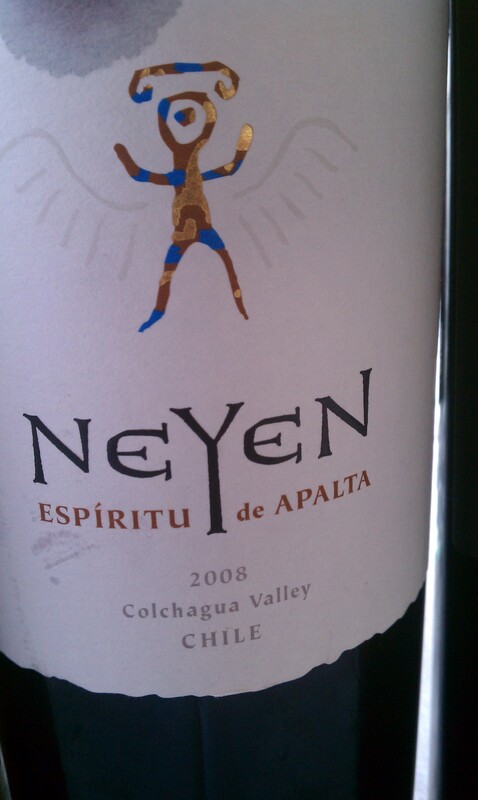 This Chilean wine comes from the classic vineyard of Clos Apalta known for its old vines. It is made up of 80% Carmenere and 20% Cabernet Sauvignon. The wine’s winemaker trained at Chateau Pavie. It has aromas and flavors of blackberry, cassis with toasty notes of chocolate, cinnamon, cocoa and milk chocolate. Yum! 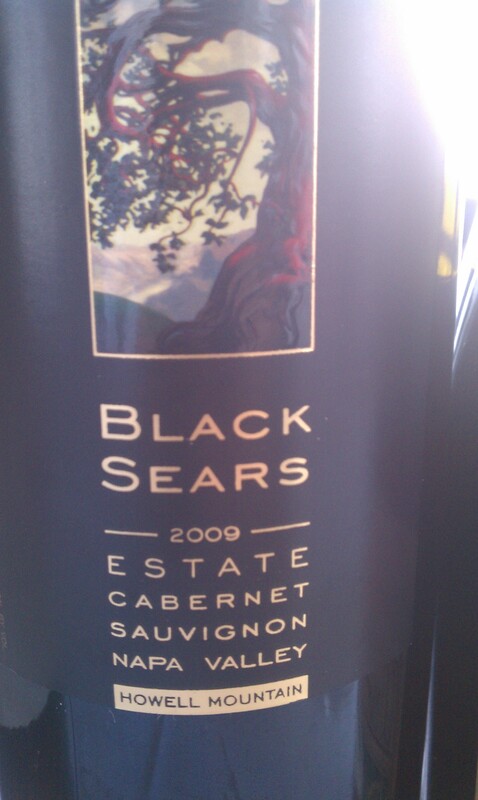 I will taste the wines from Black Sears many times through out my lifetime, and I will continue to enjoy them. This is one of the few Napa wines which made it on my predominantly French wine list while I was at Chez Spencer. Thomas Brown is now the winemaker and the wines are showing black fruit, cassis and red fruits. The wine sits lean on the palate with minerals, berry and spices. The wine tight and I recommend decanting for at least an hour. 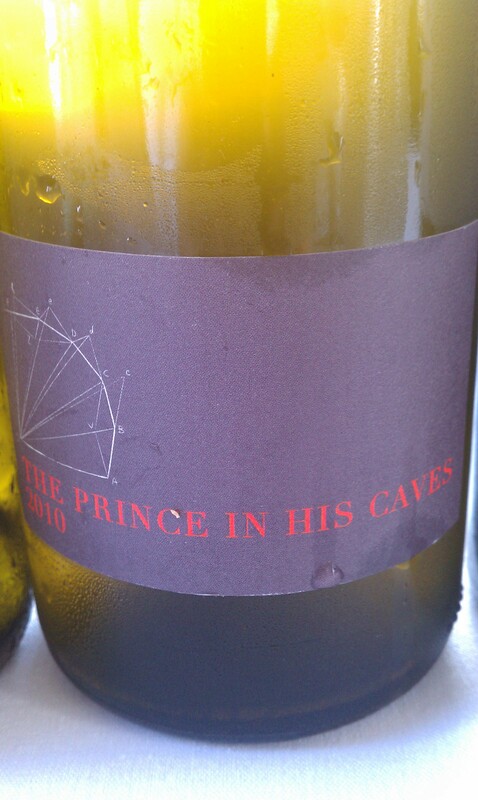 Kimberley Jones, a well known wine distributor is the winemaker behind this gem. David Phinney of Orin Swift introduced her to the magical vineyards of the Maury. It is a big wine with aromas of violets, blueberries and black tobacco. The wine is super extracted! It’ll make any wine heathen weep. Especially if that heathen loves a bone in rib-eye. The wine has flavors of sweet tobacco, chocolate and spice. Best of all, it has excellent acidity. Wine of the future. Here is a wine made by Paris Driggers, a San Diego native whose years of being a wine buyer payed off when he decided to make wine. Relationships led to the best grapes in California. This is a natural wine from the Russler and Seavy vineyards. It screams one word, elegance! It is a dark ruby color with aromas of herbs, forest leaves, mushrooms and cranberries. 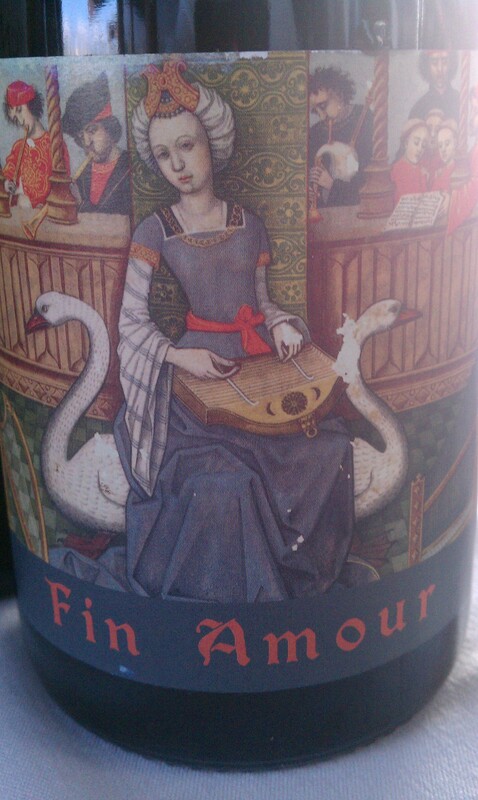 On the palate it is silky and velvety with dark cherry and spiced oak flavors. Absolutely delicious! This Syrah is sourced from the Stagecoach Vineyard. It has aromas of bacon, blue fruits, leather and cola. The oak regiment provides a toasty charred flavor backed by brown sugar, sweet tobacco and grippy tannins. This 100% Roussanne sees 100% new French oak for 15 months and rests on the lees for 12. It has aromas and flavors of banana, tropical fruits,, citrus and spice., On the palate it is a bit effervescent. It has an old world character with flavors of minerals and rocks, and a new world body, full. Kai-ona is a word from the Yakama tribe meaning “brown hills”. having recently returned from a wine tripe in Washington State, I Can say that Red Mountain is truly brown. this wine is made by John Williams and John Holmes, one of the first to plant on Red Mountain back in 1975. The winery was built in 1975. The wine is comes from three different Red Mountain vineyards. It has dried fruits such as prunes, backed by blackberry. It really shows a mineral note along with mint. The best part is the price! Winemaker Rolando Herrera started out as a dishwasher at Auberge Du Soleil in Napa Valley. He worked harvests for Stag’s Leap cellars and slowly gained notoriety as a hard worker. But what made Rolando stand out was his palate. He had a great understanding of what the wines should be like and he moved his way up as assistant winemaker at Chateau Potel. He later learned under Paul Hobbs and eventually went on to open Mi Sueno, his Dream. 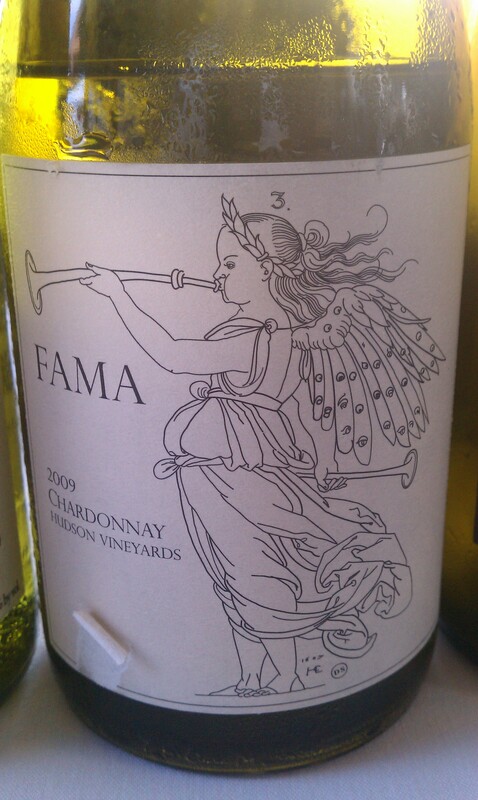 This Chardonnay sees 35% new French oak for 10 months and is only fermented with natural yeasts. It has aromas of butterscotch, cream, banana, pear and other tropical fruits. It sits full on the palate with sweet fruit and pleasing acidity. 95% of this fruit comes from vineyards Rolando has leased, so he has much more control over the harvest. The wine is aromatic with floral notes of roses, earth and bacon. The fruits are of blackberries and black cherries. On the palate it sits lean with flavors of cranberries and a hint of salt. Great minerality. This Pinot is very Russian river in that it is a lot more red fruit driven with aromas of cherry, strawberry and cranberry. It has a sweet spice with hints of fallen leaves and herbs. The wine is restrained and elegant. 85% of the fruit comes from Coombsville and 15% from Oakville. The color has a bright intensity with a dark ruby hue. It almost reminds the crimson color used in many of the Mexican paintings of Gabriel Orozco or Frida Kahlo. The fruits are a mix of dark-skinned fruits such as black plum, red plum, cassis and concord grape. All the fruit aromas are intertwined with floral aromas of violets. It has a medium body with excellent minerality accentuated by the dust and earthy tones of Coombsville.